For the second year in a row, Cal Athletics will receive a bailout from the chancellor’s office to close its deficit, raising questions about the long-term sustainability of the department. Facing an anticipated budget shortfall of $16 million in Cal Athletics, former chancellor Nicholas Dirks authorized spending up to $20 million to close its deficit for fiscal year 2017, according to campus spokesperson Dan Mogulof. This bailout was in accordance with campus policy requiring the clearing of deficits, Mogulof said in an email. Cal Athletics also received a different $22.9 million bailout from the chancellor’s office in the previous fiscal year to resolve a similar shortfall, according to Cal Athletics financial statements. In both cases, the chancellor’s funding came from unrestricted investment income and does not include state support or student fees, according to Mogulof. If it uses all of the funds available from the chancellor’s office, Cal Athletics will have received about $100 million in bailouts, subsidies and annual student fees since fiscal year 2010, according to calculations by The Daily Californian. As Chancellor Carol Christ attempts to close the $110 million campuswide deficit, Cal Athletics’ sustainability in its current form at UC Berkeley has come into question. “You couldn’t simultaneously balance the athletic department budget, have athletics solely responsible for the debt on California Memorial Stadium and maintain our current sports program,” Christ said in a recent interview with the Daily Cal editorial board. Major cuts to Cal Athletics could be on the way in the coming months. Teams might be removed, rosters may be reduced and Edwards Stadium could be turned into housing. Athletic director Mike Williams did not respond to a request for comment as of press time. 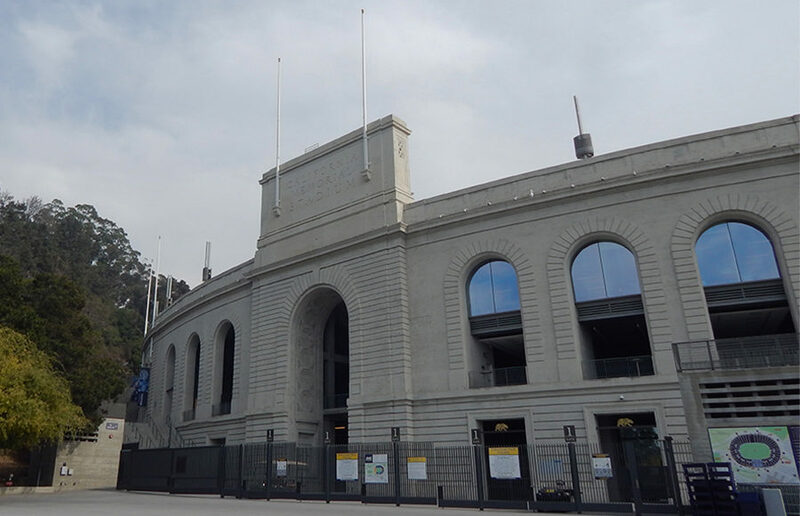 Cal Athletics has seen its deficit soar in recent years, as it faces huge interest payments from debt incurred by the 2012 renovation of California Memorial Stadium and construction of an athletics complex. In fiscal year 2016, the department had a deficit about $22 million — almost triple the $8.5 million deficit the year before. According to a department financial report, Cal Athletics expects to pay about $18 million annually in interest until 2032, when the principal of the debt kicks in. Payments will then jump to more than $25 million per year and gradually inch close to $40 million. For reference, the total revenue for Cal Athletics in the 2016 fiscal year was about $86 million. 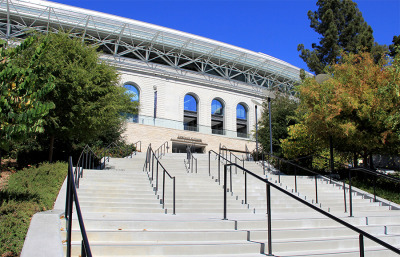 When California Memorial Stadium and its athletic center were developed, many questioned the department’s plan to pay for the stadium, a major part of which was the sale of expensive “premium” seats to Cal football games. The plan was called “risky” at the time by the Mercury News. While early numbers were positive, they have declined in recent years. As of June 30, 2016, 1,814 “full season equivalents” of these seats were sold. That’s down from 2,225 in December 2013. “They went to the roulette wheel and they lost,” said Roger Noll, an economics professor emeritus at Stanford University and expert on stadium financing. Overall football ticket sales have dropped too. For its marquee home rivalry game against the touted USC team this year, a then-undefeated Cal team saw only 46,747 in the stadium, about 74 percent of capacity. 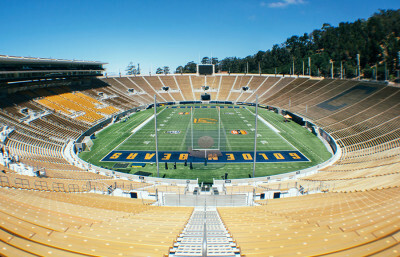 In the 2009 season, before the stadium was renovated, Cal averaged a home attendance of just under 60,000. Last season, that number was 46,628. But the budget woes of Cal Athletics don’t end at football. Men’s basketball, generally considered a money-making sport in college athletics, lost money at Cal in fiscal year 2016 even though the team made the NCAA tournament. Cal women’s basketball lost just under $3 million that same year after losing $2 million the year before that, according to department financial statements. In 2007, former chancellor Robert Birgeneau forgave $31 million of Cal Athletics’ debt owed to the campus. Karen Ling/File. While those programs might catch the most media attention, the sheer number of sports Cal offers, 30, has also been cited as a drag on the department’s budget. Cal has one of the largest sports offerings in the Pac-12 Conference. Even in years, such as fiscal year 2011, when the department ostensibly ran a surplus, Cal Athletics received millions from the campus in the form of a regular yearly subsidy. Since fiscal year 2010, Cal Athletics has received an estimated $47 million in subsidies directly from campus, not including bailouts. In that same time span, the department took in $12 million from fees assessed on the student body. But the bailouts of the last two years are not the first time Cal Athletics has needed campus help to resolve its financial woes. Then-chancellor Robert Birgeneau forgave $31 million of Cal Athletics’ debt owed to the campus in 2007, and the chancellor before him, Robert Berdahl, did the same with another chunk of Cal Athletics’ debt in 1999. With revenues uncertain and debt payments rising, many experts have painted a bleak future for Cal Athletics. “There are really no other options. You owe the debt. No matter what you do, the debt is going to be there,” Noll said, adding that he expects Cal Athletics to have large deficits long into the future. 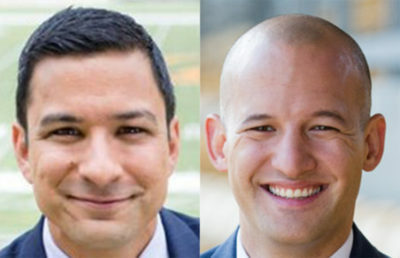 In June, the Chancellor’s Task Force on Intercollegiate Athletics concluded that Cal Athletics’ deficit, as well as the campus’s deficit, was not sustainable. Although Christ seeks to balance athletics’ deficit by 2020, the task force said that was unlikely. “Given its magnitude, it is virtually certain that interest expense will exceed (Cal Athletics’) operating income for the foreseeable future no matter what actions are taken regarding program scope in (Cal Athletics),” the task force said in its report. Despite new deals with Under Armour and Learfield and departmental staffing cuts, Cal Athletics anticipates a deficit of about $15 million for the 2018 fiscal year, according to Mogulof — which, as per campus policy, Mogulof said would require deficit relief from the chancellor’s office.